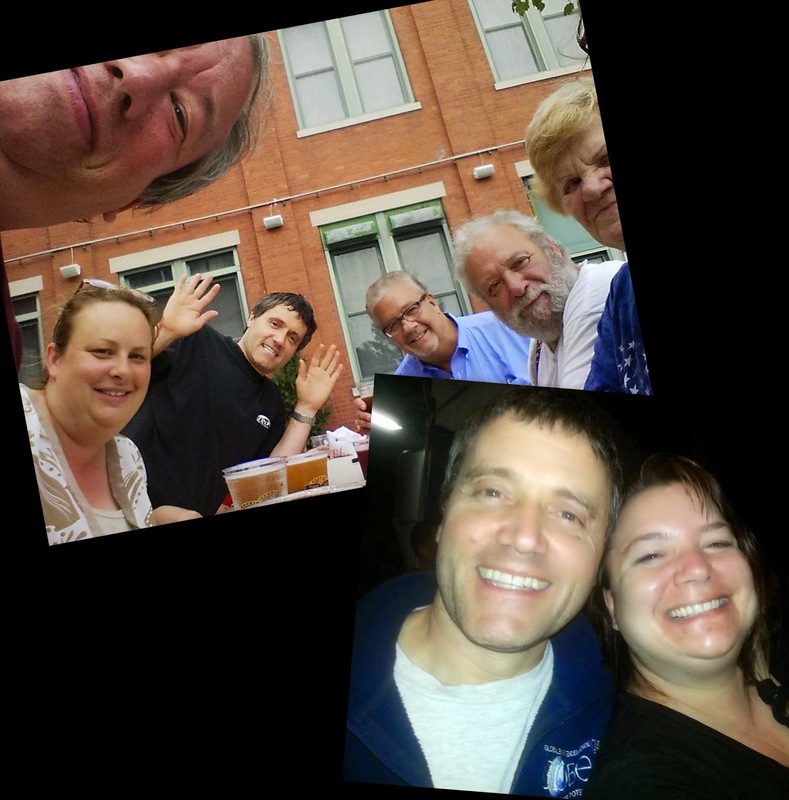 some of my fellow beer drinking buddies. A regular to this little gathering is Robert. Robert is an intelligent, fun-loving, and sweet fellow. 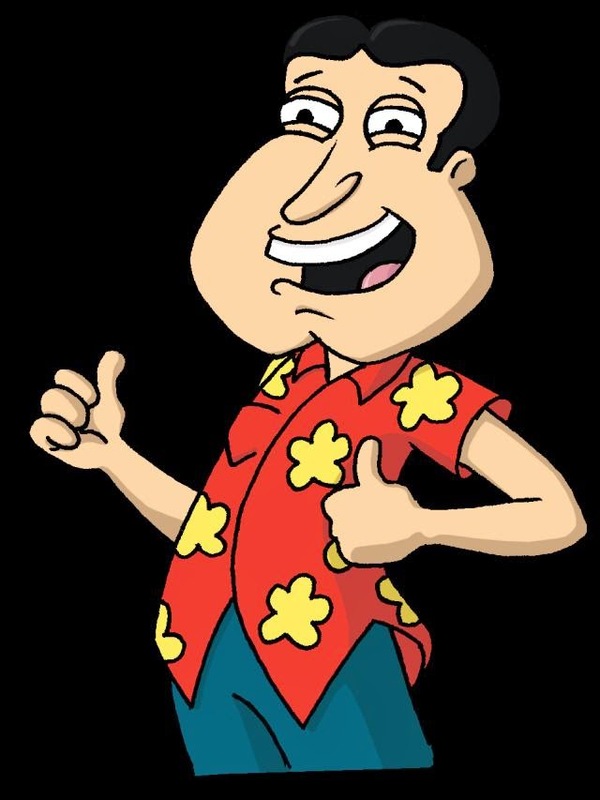 He also has more than a passing resemblance to Glen Quagmire from Family Guy. He's a pig but we love him anyway. Giggidy, giggidy, gig-gi-dy! Because he's such a rockin' good dude, he brought me beer back from his recent trip to Texas. One of those brews was Shiner Bock. The other was an IPA brewed by Rahr & Sons Brewing in Fort Worth, Texas. Stormcloud (6.00% ABV) pours a hazy orangy amber with a big floofy off white head that leaves behind a spattering of lacing on the glass. The aroma is bright tart citrus with sweet malty undertones. The taste is grapefruity and pleasantly bitter. The flavors are balanced out by the caramelized malt. There some dry toasty biscuit presence towards the tail end. The finish is mildly bitter. The mouth feel is medium-ish and well carbonated. 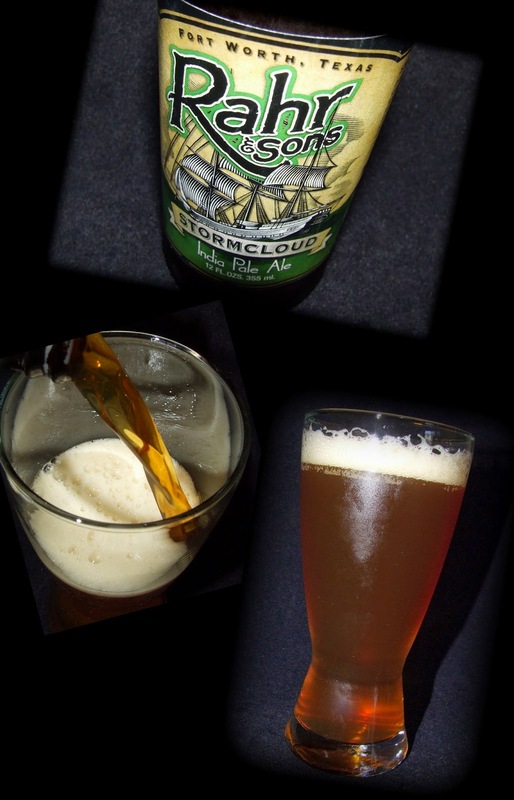 Stormcloud is a really nice, quaffable IPA. I liked it a lot!